Nowadays they are multiple kinds of beauty treatments all over the world, but none quite the stem cell therapy, which is so much more than just a beauty procedure, it’s about your actual health. Stems cells are very unique, strong cells that live within our bodies and that can transform into other kinds of cell, meaning they have the potential to adapt and help our bodies get better. With the help of this relative new procedure also known as Stem cell therapy, we can use those stem cells that already in your own body and put them where you need it the most in order to improve your overall health. 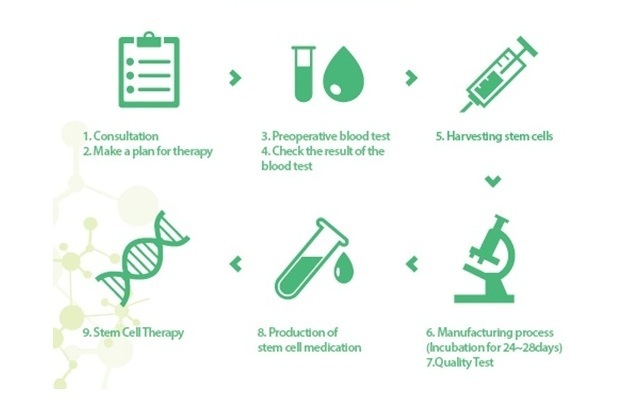 How Stem cell therapy works. This particular kind of therapy is non-invasive and pretty much painless. To put it simply, stem cells are removed from your body to later be injected right back where you need it the most. These stem cells are supposed to help you improve whatever health problem you have by repairing the broken body tissue and recovering the lost cell function. Stem cells are extremely valuable and can be used as treatment for multiple diseases. And, although this type of treatment is relative new, great results have already been shown not only in Korea, but all around the world. Different treatments using Stem Cell Therapy. It’s important to keep in mind these are just a few diseases and conditions that can be treated with stem cell therapy in South Korea, but they aren’t the only ones. This type of therapy can also be used as a beauty treatment, and it isn’t limited to treating only health problems. Stem cell Therapy in South Korea is actually extremely popular when it comes to use it as an anti-aging procedure. Not only the results are incredible, but the procedure itself is completely non-invasive and quick, which makes it perfect for everyone who wants to feel (and look) amazing.